iPhone 5 Release Date Draws Closer, Final-Design Units Leaked? As the iPhone 5 release date draws closer, rumors and speculation regarding Apple’s sixth-generation iPhone have been steadily growing. 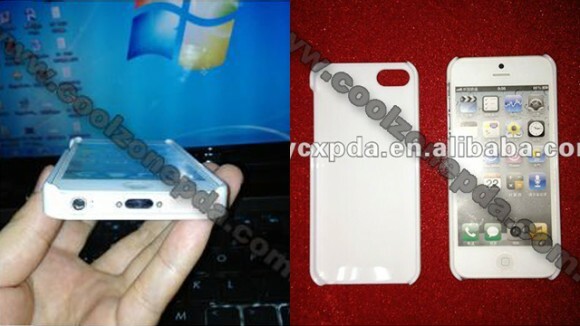 This week, images have surfaced via a Chinese iPhone case manufacturer that allegedly show a real iPhone 5. Asian-based iPhone case manufacturers are notorious for running huge production volumes based purely on the specifications of leaks and rumors in the hope of getting the jump on the competition when the iPhone 5 release date arrives. It happened before with the iPhone 4S, except the expected design changes never came to fruition and we got an iPhone that was identical to its predecessor. While the photos show several of the design elements that have been reported on previously, notably the larger 4-inch screen, relocated FaceTime camera, relocated headphone jack and smaller 19-pin Mini-Dock connector – this may just represent an iPhone 5 prototype built by the case manufacturers themselves. With the iPhone 5 release date just months away, production of the iPhone 5 is undoubtedly underway in China and it is possible, but unlikely, that the case manufacturers have managed to get hold of the final device. To catch up on all the features we’re expecting to see when the iPhone 5 launches, check out our complete iPhone 5 rumor-round up. What’s your take? Is this the real iPhone 5 or just a mock-up?